you have the ability within you to achieve your goals. I work with you as a partner, knowing that you have the answers inside of you to create the changes you are looking for. Through specific strategies and skills, we work together to figure all of this out! I guide, support and motivate you to create a plan and take the specific action steps needed to get you to the place you want to be, as well as hold you accountable for them! The relationship between us is built on a trusting, honest and open dialogue. It's important that we are a 'good fit' to ensure that you get the most out of our sessions together. All I ask you to bring is an open mind and a willingness to try. Everything discussed during our sessions is strictly confidential and between us. There is nothing you can say that will shock me or that I probably haven't heard before. I want to inspire other women; for someone to say, because of you, I didn't give up. An all-round approach to our wellbeing as Mums. My coaching philosophy is grounded in the understanding of how the mind and body work together to create our thoughts, our behaviour, our relationships, our feelings about ourselves and our lives. Becoming a Mum is probably the biggest change in your life on all of these levels, physically, mentally and emotionally. My approach is to look at the key aspects that make up our wellbeing, specifically tailored to your life as a Mum. Whilst we are unique we are also the same. We all have good days and bad days but on those bad days we can find that our brain goes into a spin and we begin this never-ending cycle of negative thoughts. This blocks access to fresh thinking, of positive thoughts. Now rest assured this is absolutely normal and happens to everyone. Unfortunately as a busy Mum we have little opportunity to make space for ourselves, to let the noise of our minds settle and leave room for new things to emerge. We so often find ourselves in this never ending cycle of negativity which ultimately affects both our physical and mental health. My coaching enables you to make space in your mind for something new, to take positive steps into your new life as a Mum and thrive whilst doing so! By addressing the key areas that make up our wellbeing, my coaching provides well-rounded support to guide you to the life you deserve. My Coaching is based on the cornerstones of our wellbeing, of which are all interconnected. Fail to look after one and another suffers. For instance, fail to look after your physical health and your mental health declines. Fail to take care of your emotional well-being and your physical health suffers. This is why my coaching philosophy recognises all of these aspects and aims to empower you to take back control. Nutrition is so important to physical and mental health. Getting the right nutrients will give you physical energy and mental strength to get through those long days and sleepless nights. Moving your body is 'eating well's' partner in crime! Not only does this help your body physically recover after having a baby but it will help you sleep better (when you get it!). Exercise also releases endorphins (the feel-good stuff) and so helps you to combat those days when you are feeling low. Dealing with the emotional rollercoaster of being a Mum is difficult and affects every woman differently. Feelings range from loss of self-identity, self esteem and guilt to problems with relationships and at the severe end of the scale post-natal depression. My coaching aims to look at what the pressing issues are for you right now. The best way to predict your future is to create it. My coaching focusses on looking forward, on gaining clarity and control over want you want from your life so that you can take the actual steps to achieving it. You may identify with all or some of these aspects of your wellbeing which is why my coaching programmes are tailored specifically to you as an individual. It's amazing what we can accomplish when we are in this together. Every coaching plan is individual to you and your needs. All coaching sessions are private 1:1 sessions, have been designed to fit in around your busy life and are completely private and confidential. These sessions are based on 1hr per week conducted via Skype in the comfort and security of your own home. I also provide any additional support you may require via e-mail. A typical coaching plan lasts approximately 3 months but may be longer or shorter depending on your individual needs. I am so passionate about giving 100% to each and every woman I work with and therefore limit the amount of clients I work with at any given time. Payment plans may be available for those on lower incomes. If you would like to find out about availability for my coaching programmes or if you have any questions or would like more information, please contact me and we can discuss your needs further. Here are just a few testimonials from some of the women I have been fortunate enough to work with. Every reason, motivation or desire to change things in your life is personal and individual but taking steps towards getting the support you need is the biggest challenge of all. From there, things can only get better. I came across Kerry by chance a few months ago through a mutual friend and I am so glad I did! After having my daughter I struggled with body confidence having gained a lot of weight during pregnancy, I wasn’t eating well and relied a lot on convenience foods and takeaways which left me feeling even worse. My partner and I were arguing a lot and not finding time for each other which was adding pressure to the already hard job of being a new Mum. Kerry helped me to get back in the kitchen eating real food and not feeling stressed about it, over the course of a few months I’ve lost my baby weight and returned to some exercise, my confidence has improved hugely too. Kerry helped me find new ways to communicate with my partner so I now feel we work together as a team, we have a regular date night and feel like a couple again not just parents!! Kerry really helped me lift the pressure off myself around all the changes happening in my life with having a new baby, she’s so easy to talk to and genuinely wants you to succeed at your goals. I loved my time working with Kerry and have already recommended the programme to both of my sisters who are expecting in the New Year. I’m forever grateful for the support Kerry provided at a time I really needed it. I didn’t know if Kerry would be able to help me as I hadn’t just had a baby, my “baby” was almost 1! But having been a stay at home Mum for over 5 years I was just so unfulfilled and felt like my life didn’t have any direction. I didn’t want to return to the career I had before children but had no idea what I did want to do. Kerry helped me figure out what I’m actually good at naturally as a person, where my strengths and weaknesses lie and from there I was much clearer on the things I needed to do in order to feel fulfilled. I felt guilty for even wanting to work when so many Mums would love to stay home with the children as it’s such a privilege, but Kerry helped me see how that was unfounded and no reason not to go forward with my own life. She helped me set goals to work towards and kept me accountable, I have an interview next week for a dream job and I’m really confident it’s the right thing for me. I was also wanting to get back into exercise of some sort but after trying and failing miserably I’d all but given up! Kerry encouraged me to try new things, to listen to my body (something I don’t think I’ve ever done) and I’m now going to a yoga class every week and loving the results. I’m still working through the programme with Kerry now and love our calls each week, it’s amazing to feel like someone is listening to you and I was definitely missing that before. When I first started working with Kerry my main goal was to feel like myself again. I already had a toddler so thought I’d find it easier having a second baby as I knew what to expect, but after a difficult birth and guilt around not being able to breastfeed I found myself struggling quite quickly. I didn’t have much help at home as my husband works away a lot and I didn’t know how I could lift the black cloud I was feeling since having my son. I was getting frustrated easily, impatient and completely exhausted. It was also looming over me that I had to return to a job I hated once maternity leave was over. Kerry helped me find ways of calming down, relaxing and taught me ways of looking after myself even on days where I didn’t have the time or energy for it. She helped me work through my feelings around the delivery of my son and not being able to breastfeed, to let go of the frustration I was holding onto. Since working with Kerry I’ve also started a new business venture and have made the decision not to return to my previous career, something I never thought I would have had the confidence to do! I’m in a much better place now compared to 6 months ago and can thank Kerry a lot for it. Here are just some of fantastic people I have worked with and would recommend. Andrea - Pregnancy & Post-Natal Massage Therapist. Andrea is a qualified sports and remedial massage therapist who went on to train in pregnancy and post natal massage. 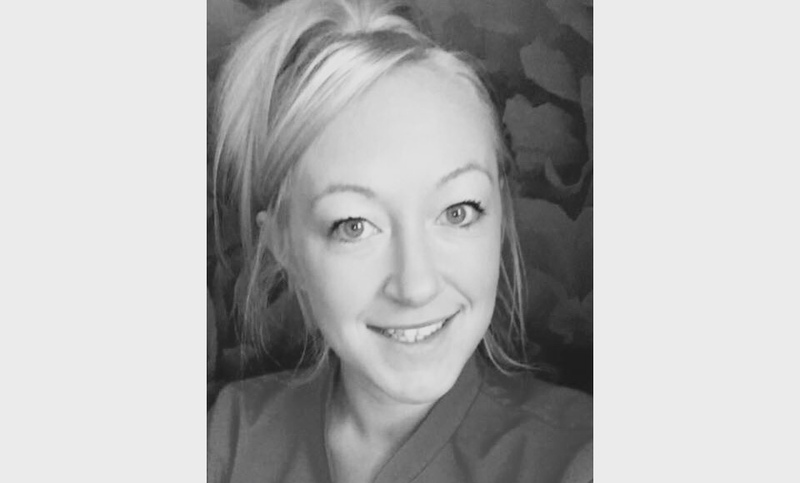 Andrea is able to support women through pregnancy, helping to provide relaxation as well as assistance with many of the aches and pains often associated with this time. She is also able to provide support post natally especially with c-section scars and diastasis recti as well as helping to ease the pressures on posture that caring for and nursing a baby can bring. Andrea is a mum to two children herself so understands from a personal as well as professional point of view how to support mums at all stages of pregnancy and into motherhood. In addition she is qualified in Swedish massage and is also a Reiki Practioner. Tranquility Birthing provides Hypnobirthing Courses for expectant couples and is suitable from 14 weeks to birth. Hypnobirthing is a birthing technique used to calm and relax you and your baby before, during and after birth - and teaches you techniques that can be used long after labour too! Using Hypnobirthing can ensure a calm and relaxed labour no matter what type birth you have, or where you have your baby. It reduces rates of unnecessary medical intervention and will ease anxiety and stress that is so often common during labour. It will also help your partner to feel more involved, and strengthen your bond before baby’s arrival. Stacey offers beautifully relaxing reflexology and reiki treatments at her private treatment room in the Finham area of Coventry. Treatments can be enjoyed pre-pregnancy, during the third trimester and can provide a little bit of “me time” following baby’s arrival. A real treat for the mind and body, you'll leave feeling as though you've had a spa day. Katy: Hypnobirthing, Pregnancy & Mother and Baby Yoga. 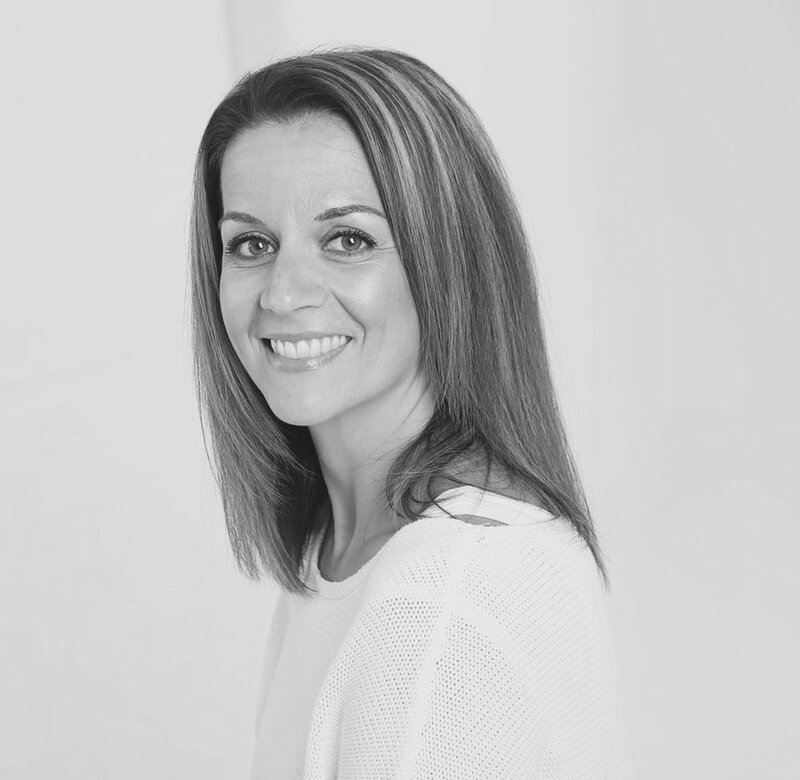 Katy is the founder of Body to Baby, specialising in full ante-natal education courses, grounded in the practice of Hypnobirthing. 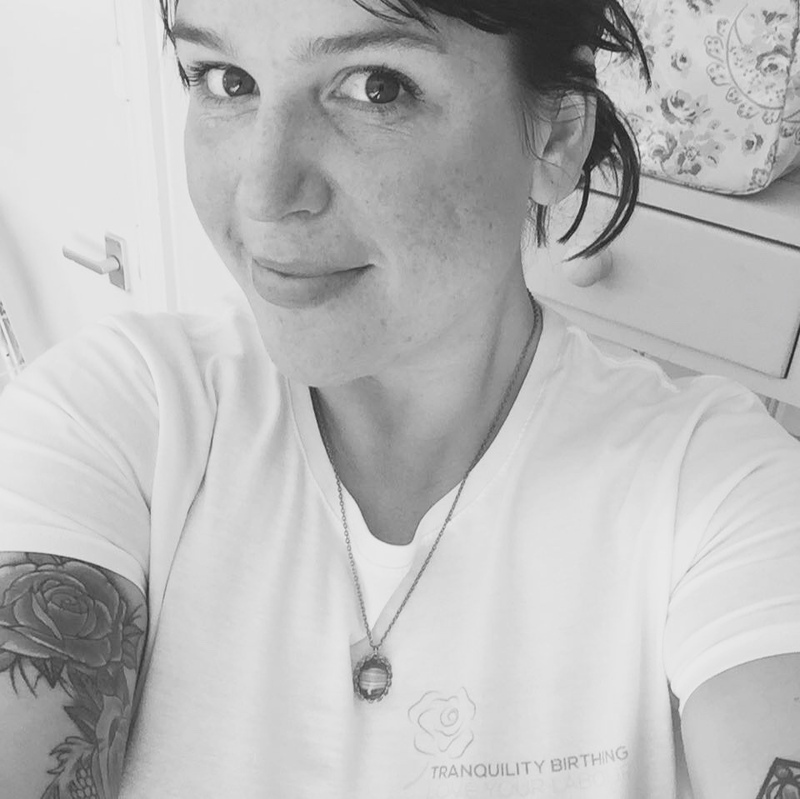 As a fully registered KG hypnobirthing practitioner, Katy offers both group and private hypnobirthing courses, as well as specialist courses specifically for caesarean births. As well as hypnobirthing, Katy is a trained pregnancy and mother & Baby Yoga teacher and holds regular classes at the beautiful Yoga Loft in Burbage. Jade is an expert personal trainer in the Kenilworth area working. She works with women on their body and mind, aiming to inspire, empower and promotes body confidence and long term goals over quick fixes. Jade offers training in the comfort of your own home, perfect for those with young families and busy schedules, as well as classes in the local area.